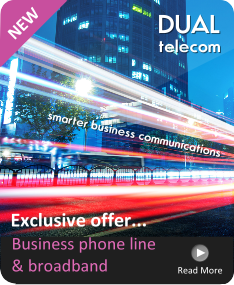 This month we are pleased to announce the launch of our new business phone and broadband service – Dual Telecom. With over 10 years of experience in the communications market, the aim is to strengthen our customer-focused approach and broaden our product portfolio of outstanding services. This exclusive offer is available only to existing Dual Energy customers and boasts big discounts on line rental, calls and broadband, along with the unique Price Match Guarantee available through our electricity contracts. “Naturally with all our products, the emphasis is on providing our valued business customers with regular savings on their utility bills, without compromise on service. The time has come to extend our portfolio and we are very excited to offer our customers the benefit of a simple, no frills, low cost business phone and broadband service. With rates as low as 1p/min on UK calls and 7p/min on Mobile calls, plus no call setup charge and billing in seconds, customers can expect to make substantial savings. Challenge Dual Telecom to reduce your monthly bills.” John-Paul Jenner, Marketing Manager. 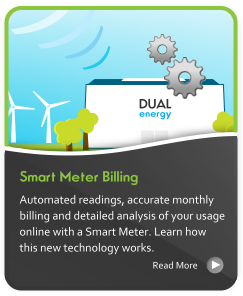 For more information on Dual Telecom, please visit the home page here.